Harco Management Services, LLC program provides you with the convenience of a turnkey flight department. We take the stress and burden out of operating your aircraft, and allow you to focus on what is important to you and your business. Personalized service as well as attention to detail and safety are the primary focus of our Aircraft Management program. Harco Management employs, trains and supervises the crew; oversees the maintenance; monitors and maintains FAA regulatory compliance; and provides overall travel support and scheduling assistance to the owner for travel anywhere in the world 24/7. Harco Managements fleet of managed aircraft include a Falcon 50, Citation V, Citation Ultra, Citation XLS+, Hawker 800A and 800XP. As an FAA authorized Part 145 Repair Station, Harco is uniquely qualified to manage and maintain any type of corporate aircraft. 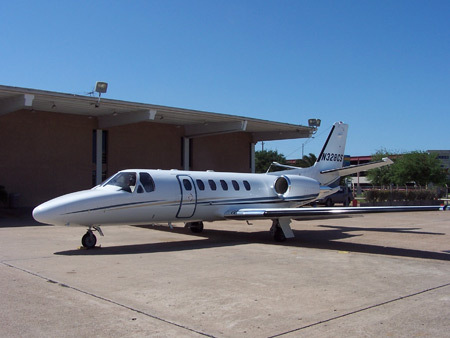 Harco Management employs only the most qualified pilots that have gone through extensive flight and background checks. All of our captains are Flight Safety trained and hold an Airline Transport Pilot License. Aircraft Acquisitions - Our years of experience in buying and selling aircraft allows us to offer our clients invaluable assistance with the purchase or sale of their aircraft. We can also provide a comprehensive equipment evaluation, aircraft utilization reports as well as mission profiles. When you're ready to purchase or lease an aircraft, Harco will work with, or represent you every step of the way, even in assisting with the pre-purchase / technical evaluation. In addition, we can help ease your transition into ownership by creating a comprehensive aircraft management program tailored to your specific needs.